Thanksgiving is one of my favorite holidays and it’s the kickoff of the holiday party season! I love how it brings everyone together to enjoy memories, smiles, and delicious food. At the same time it’s a hectic time of year -getting the house ready for guests, menu planning, shopping, decorating, all the while still trying to check off our regular daily tasks like running kids from one thing from the other, juggling homework, errands, and more. 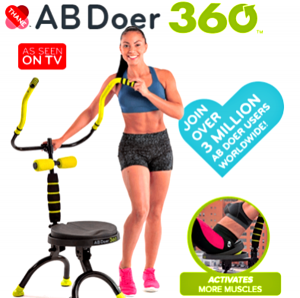 Holiday parties pop up everywhere this time of year, maybe in your own house, the office party or the neighborhood party, but they are coming! It’s always a great idea to have some quick – and delicious appetizer ideas ready to go at a moment. 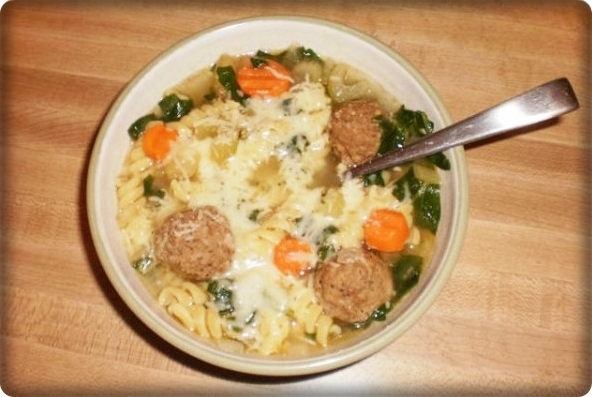 This holiday I’m excited to have 2 quick and easy recipes ready to go whenever needed. 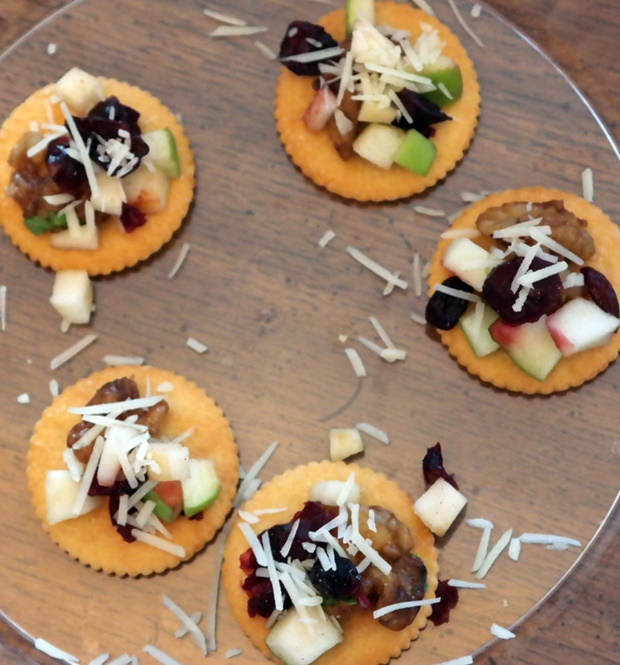 My 2 go to appetizers this year are Grilled Pizza Bites and Holiday Crackers with Candied Walnuts, Apples and Cranberry. So I am off to the store to pick up ingredients! 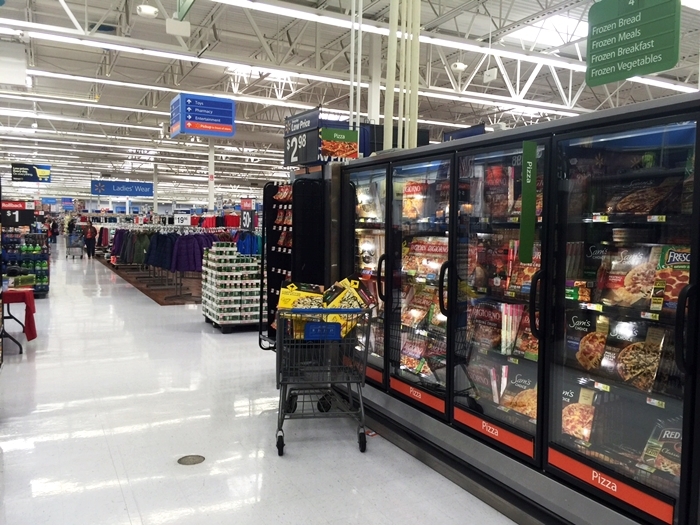 CALIFORNIA PIZZA KITCHEN® and NESTLE®, along with everything else that Walmart has to offer, makes it easy to serve delicious and creative recipes that can be ready in minutes. 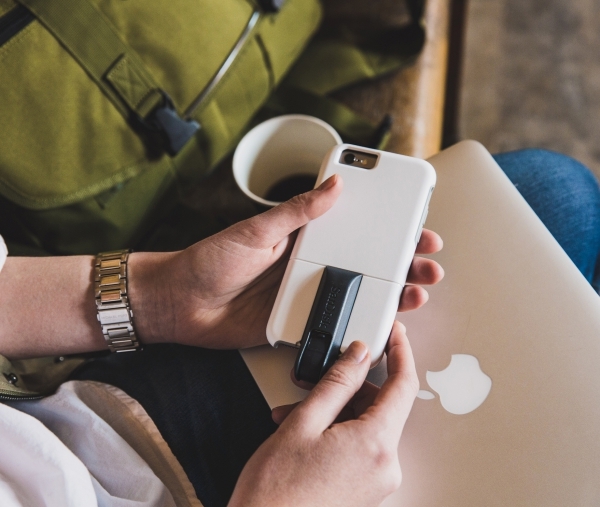 NESTLE offers many options and you can find something for every crowd. 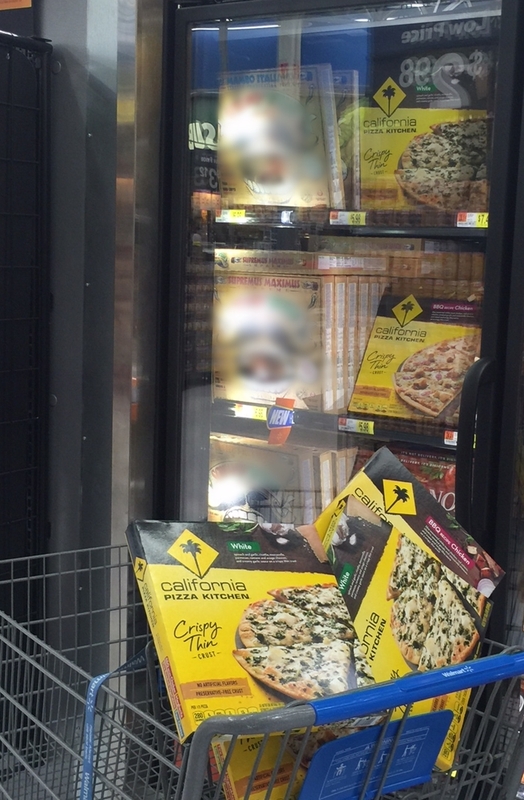 With Thanksgiving coming up, I ran to Walmart to pick up a CALIFORNIA PIZZA KITCHEN Crispy Thin Crust Oven Ready Pizza, Sicilian for my Grilled Pizza Bites and everything needed for my holiday crackers too. 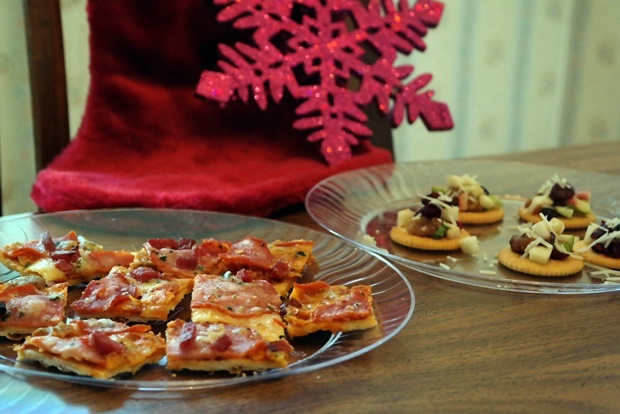 I started to prep both, I thought it would be fun to put a different twist on frozen pizza and made Grilled Pizza Bites, and while the grill was heating up, I wanted to get started on my holiday crackers. Here are the steps for both recipes, one at a time. – I know the title sounds like a lot, but we make it work and it’s delicious. Heat butter in skillet on top of stove on medium heat until melted. Add walnuts, brown sugar, and cinnamon. Stir every 30 seconds for 4 minutes and until well coated. Lay out parchment paper on counter or on a cookie sheet. These Holiday Crackers are great and easy – perfect combo for the holidays. Have you ever grilled pizza? We tried it for the first time two years ago and have been hooked ever since. 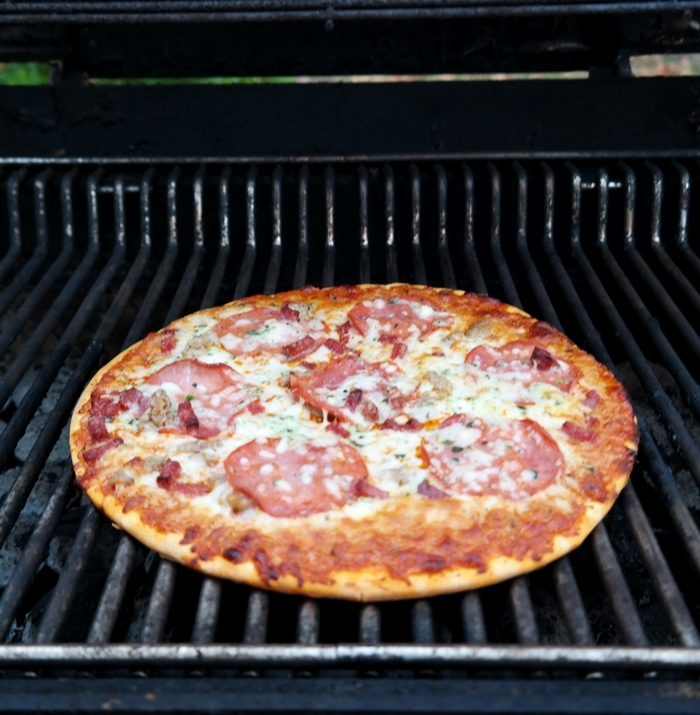 You can grill homemade pizza but truthfully it’s a bit tricky and a little messy. 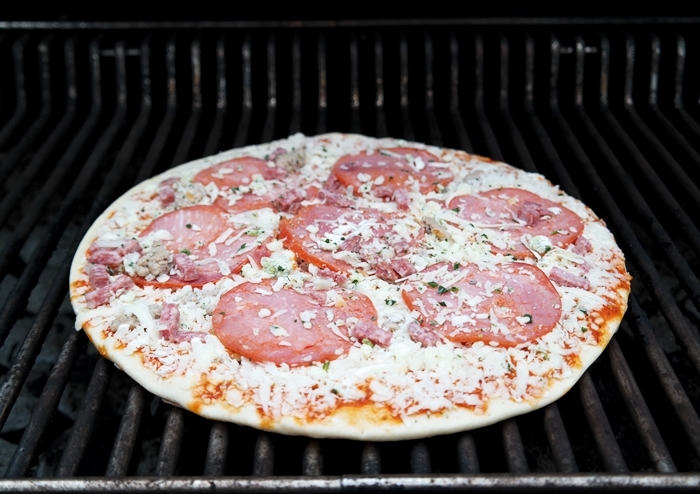 Grilling frozen pizza is super simple and not only brings out the flavors of the pizza but it adds a wonderful smokey flavor as well. Here’s how I did it. First I preheated the grill to 400 degrees. 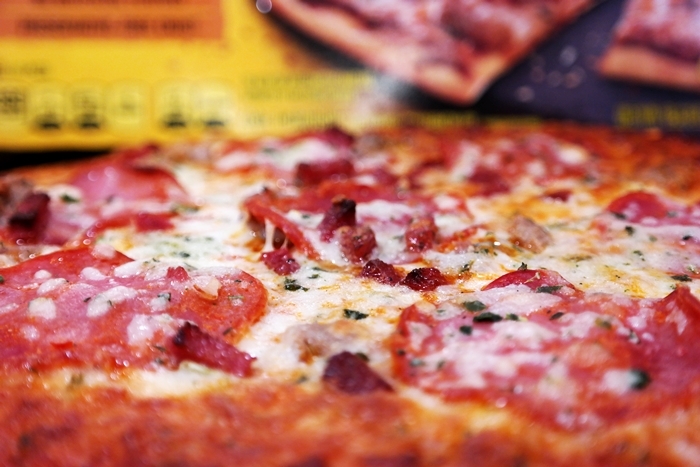 When it was ready I took the CALIFORNIA PIZZA KITCHEN Crispy Thin Crust Oven Ready Pizza, Sicilian out of the box and wrapper. I put it right on the grill and kept the lid closed (but snapped a photo first!). After 7 minutes I rotated the pizza and grilled it for another 6-7 minutes. Once I saw that the cheese was melted and the crust had a nice brown color I knew it was done and it looked delicious! It was difficult not to eat it right then! Next, I used a pizza cutter to slice it up into bite sized squares. Using the CALIFORNIA PIZZA KITCHEN Crispy Thin Crust Oven Ready Pizza, Sicilian took these Grilled Pizza Bites to another level. 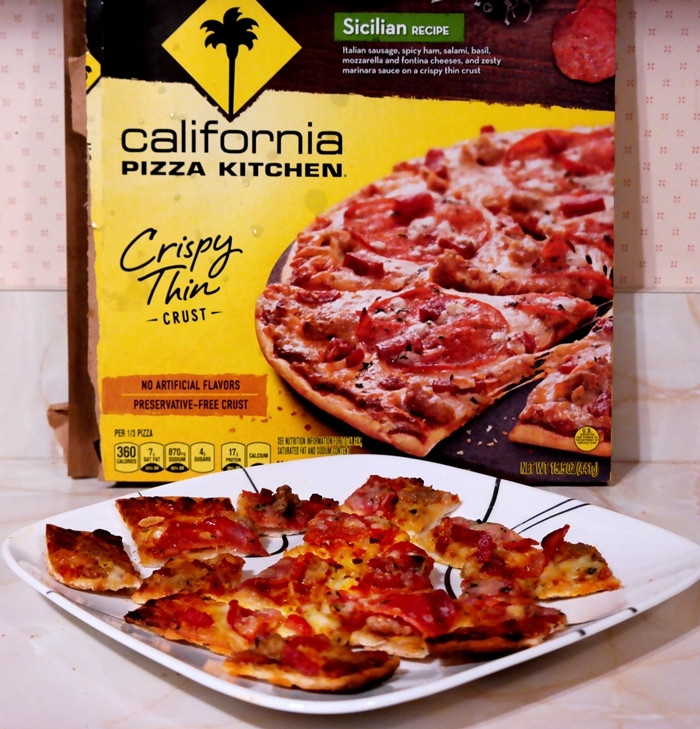 While I’ve grilled other frozen pizzas before, the CALIFORNIA PIZZA KITCHEN Crispy Thin Crust Oven Ready Pizza, Sicilian was so full of flavor that every Grilled Pizza Bite was an exquisite burst of Italian goodness. These Grilled Pizza Bites were a huge hit and would be wonderful as an appetizer for Thanksgiving. 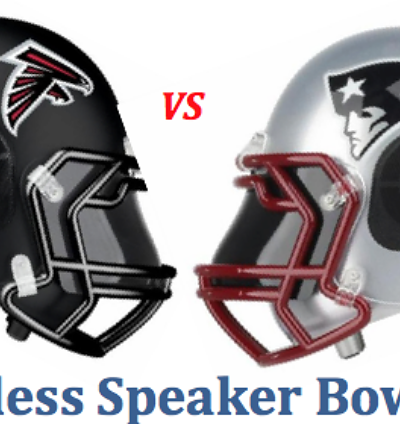 Fair warning though – they go fast so you may want to make sure you have plenty on hand! I was thrilled with how easy it was to prepare the Grilled Pizza Bites and how delicious they were. 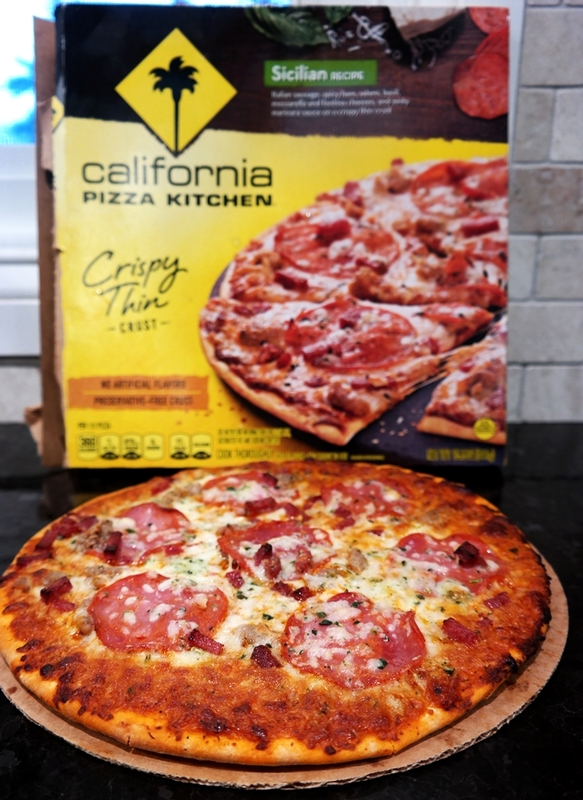 I recommend CALIFORNIA PIZZA KITCHEN Crispy Thin Crust Oven Ready Pizza, Sicilian to anyone looking for a fantastic flavorful way to feed your family and guests during the busy holiday season. 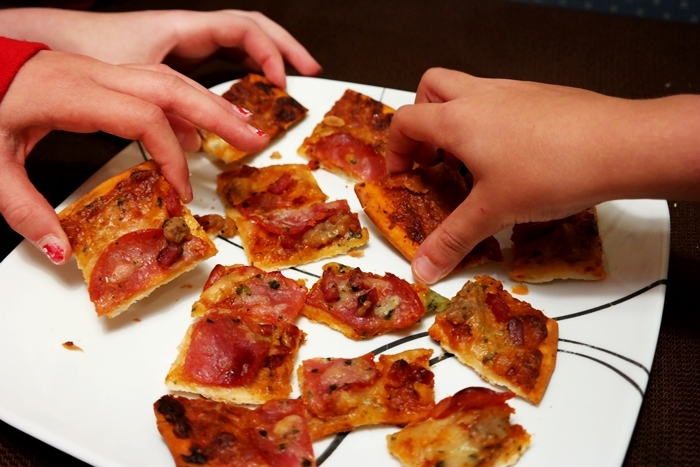 Throw the pizza on the grill for a few minutes and slice it up into Grilled Pizza Bites and you will have an elegant appetizer that is a real crowd pleaser! Serve as an appetizer this Thanksgiving and enjoy! These 2 recipes are perfect for the holiday season, the beauty of both of them is that they are quick and delicious, also you can alter them to your tastes too, throw some extra toppings on either and you have your own unique recipe to take to your next party. 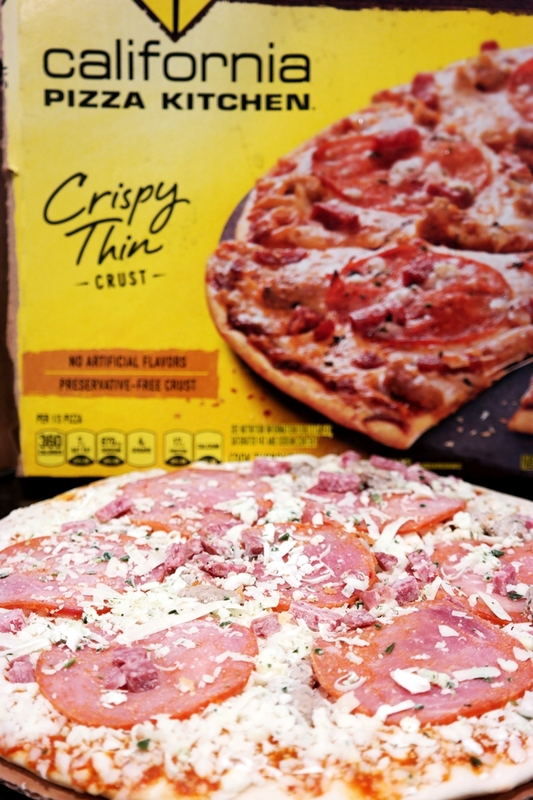 For more ways to enjoy CALIFORNIA PIZZA KITCHEN and what recipes it pairs with be sure to check out the NESTLE Flavorful Moments Pinterest Page. What about you? What recipes do you like to serve your family and guests during the busy holiday season! 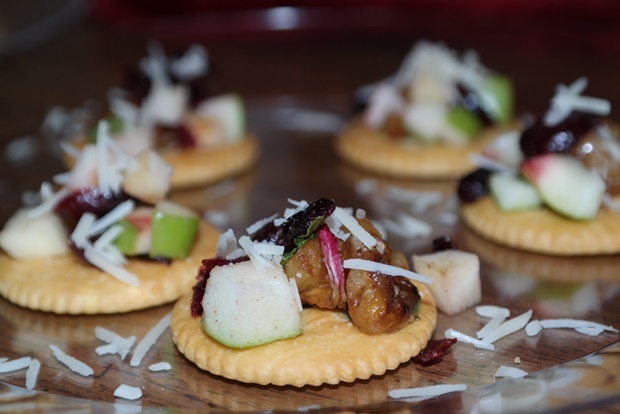 I love your ideas for Appetizers and am going to use them for my Holiday Party this year. We love California Pizza with salad. It is so delicious. Thanks for the awesome ideas! This look super good! Anxious to try the Holiday Crackers. These both look like great appetizers. I have not tried CALIFORNIA PIZZA KITCHEN before. I will have to try it out.